There are times in life when you get to see magic at work, in an experience or an object so magical that a little part of you believes, for a moment, that, yes, this is the stuff of magic. What really makes those moments special is when you turn around to see that the people with you can see it too. When you realise that you are witnessing a moment of magic together and you, therefore, are not as crazy as you think. 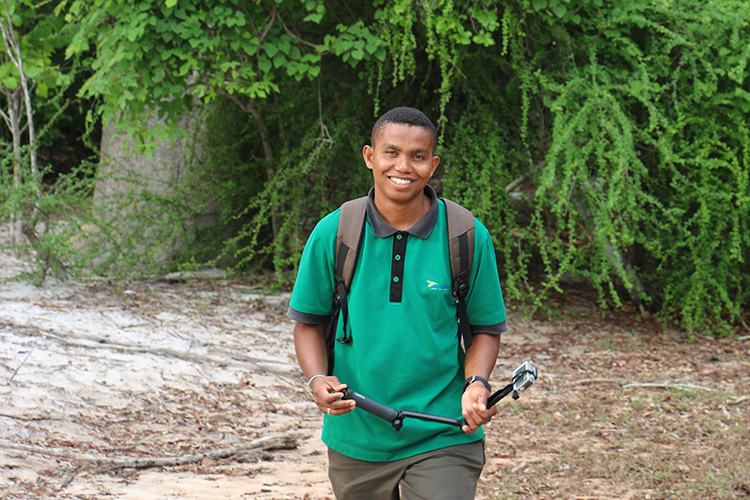 On our recent visit to Anjajavy le Lodge in Madagascar, these moments occurred daily. To me, the word magic means many things. It’s what my family say when something is great, when someone is kind, when a plan works out – “That’s magic!” It’s the word we relate to the voodoo arts practiced in parts of Africa, on islands like Pemba in Tanzania and Madagascar itself – the juju of the animist beliefs. It’s a word that well explains the inexplicable, that depicts the enchantment of the world. It’s also the nickname of the Los Angeles Lakers star basketball player, Magic Johnson, a man who represents great courage and power. At least in the United States, as one American guest staying at Anjajavy le Lodge pointed out when he met the subject of this 10 Questions blog… lodge guide, Jonhson William Clovis. Like the basketball player, Anjajavy’s Jonhson (his parents opted for a more unusual spelling) is a man similarly magical, courageous and memorable. My time with him took me to places I have never been. It showed me things I’d never seen and made me feel things I hadn’t felt in a while – mostly, awe. The type that stumps you for words. Awe, like at the sight of ancient skulls in a Sakalava tomb. 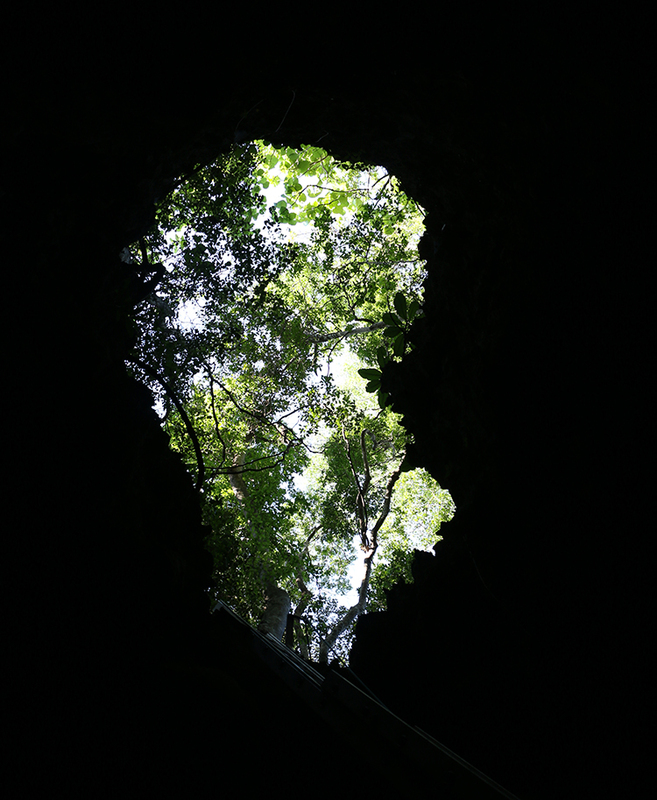 Awe, as we dropped into an underground cave and forgot about the world outside in a magical lair of stalactites and stalagmites, with bats and crystals and fossils of lemurs long extinct. Awe, on the birding safari that led us through a field of ancient, towering baobabs that shook my heart to think about how many centuries they’ve quietly stood there watching us humans pass below. 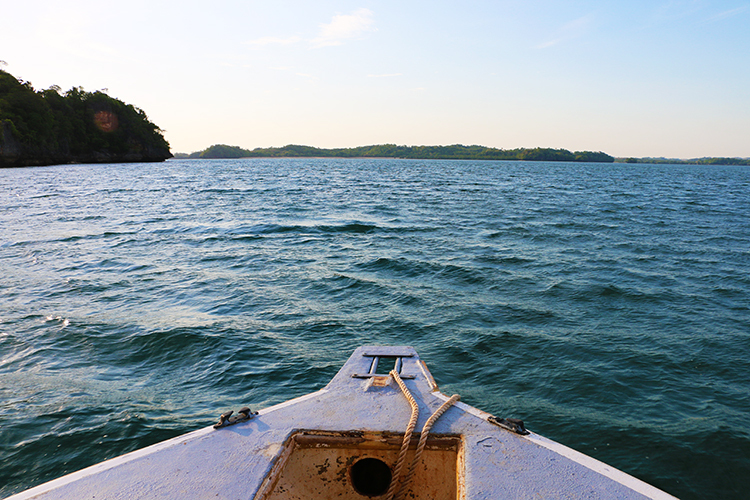 Awe, on our journey out to sea to explore Moramba Bay, the morning we spent with a pair of Madagascan Fish Eagles, and the afternoon snorkelling over bouquets of coral breathing life into the Indian Ocean. 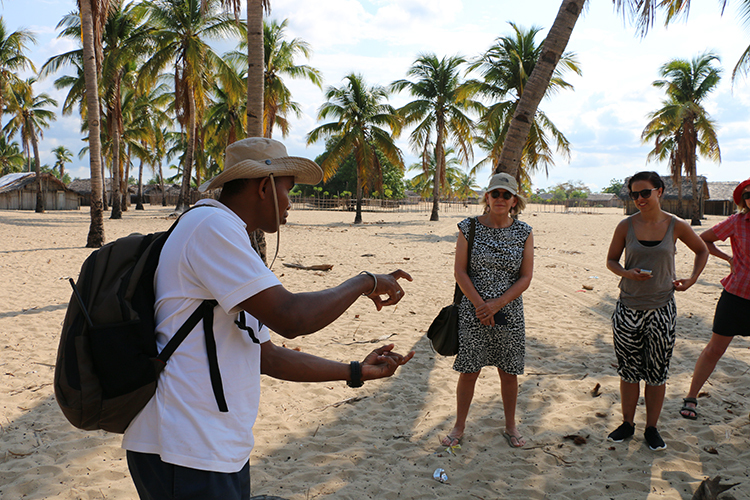 Awe, listening to Jonhson’s stories of life at Anjajavy, his profound knowledge for an individual still at the very beginning of his career. 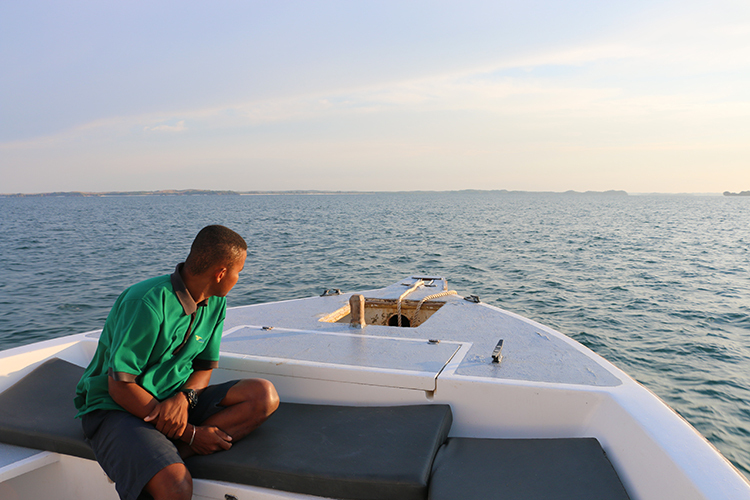 To better understand the magical way he sees the world – a viewpoint well-suited to a place like Anjajavy – meet the man for yourself in our 10 Questions below. 1. 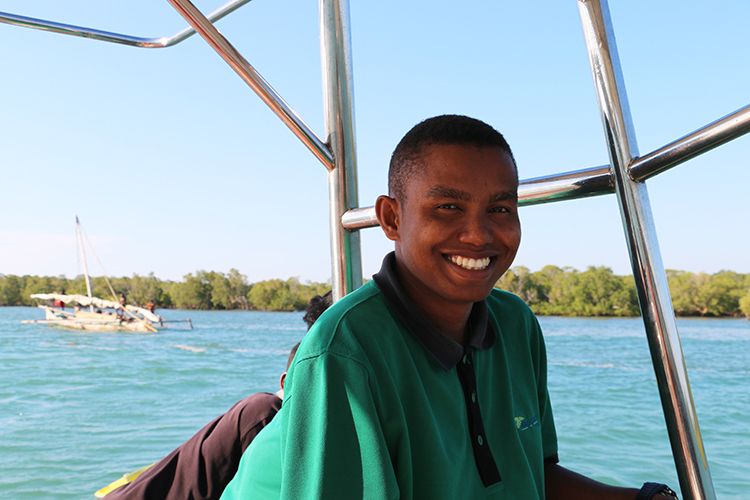 What has working at Anjajavy le Lodge taught you about life love and yourself? The guides and many of the staff live together in the bush camp. It’s like living in a little society and you stay with someone you’ve never met before. It’s different to what I’m used to. It has taught me to see people in a different way and taught me more about people’s different characters and ways of being. You also have to be available all the time and to share your space with others, so I’ve learnt to compromise better as a person. On the subject of love, our love here for each other, as friends and family, it has taught me that while people and things may not always be perfect, or to your liking, you should always have respect for others. I’ve been able to put into perspective everything I learnt during my studies at university about wildlife, society and NGOs, about how to bring people together and to lead people. Everyone has different opinions. You can’t change them; you need to be patient with them. Guiding guests who come from all around the world, I have learnt a great deal about countries I’ve never been to and about completely different ways of life. I try to look past the language and other barriers to the heart of the person, to connect with them in some way, so that we can better understand each other and have a more meaningful experience. 2. What was your training before coming to work at Anjajavy? 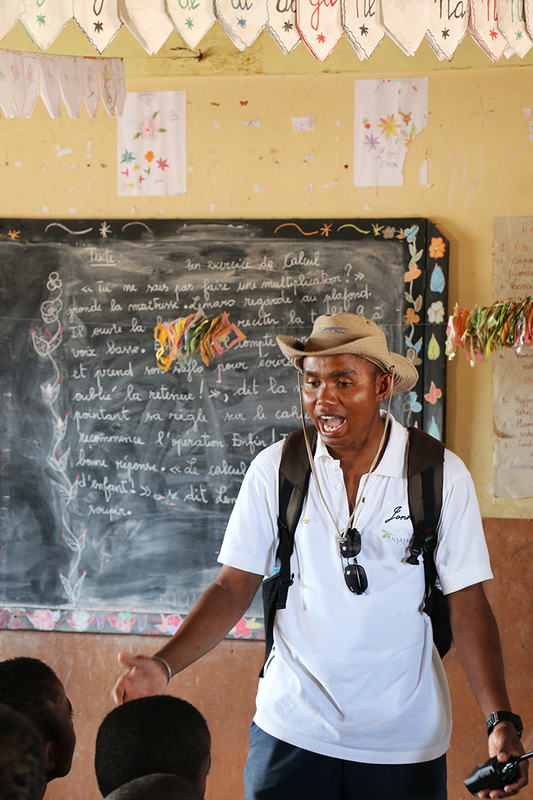 I studied a Bachelor in Tourism in Madagascar – a great passion of mine – and I specialised in guiding. 3. The best way to spend a day at Anjajavy when not working? I love swimming in the ocean, walking in the forest and going in search of new things, but you don’t need much down time when you’re really passionate about what you do. 4. 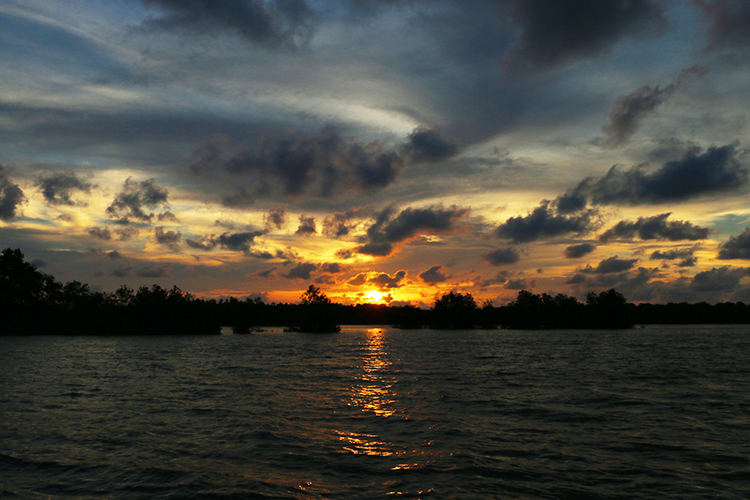 The key to living in a nature reserve like Anjajavy? Don’t touch or feed the wildlife! Anjajavy is set in a nature reserve so the animal and plant life are protected. We live in harmony with them but keep our influence to a minimum. Respect the animal, let the wildlife live naturally, that’s the law of the land here. I really appreciate that about Anjajavy. 6. What makes Anjajavy so special? I really like the policy that individuals working at the lodge don’t accept tips. Tips are shared equally, which I respect because it reminds us that teamwork is the most important thing here. We all rely on each other. It teaches you to think about others. 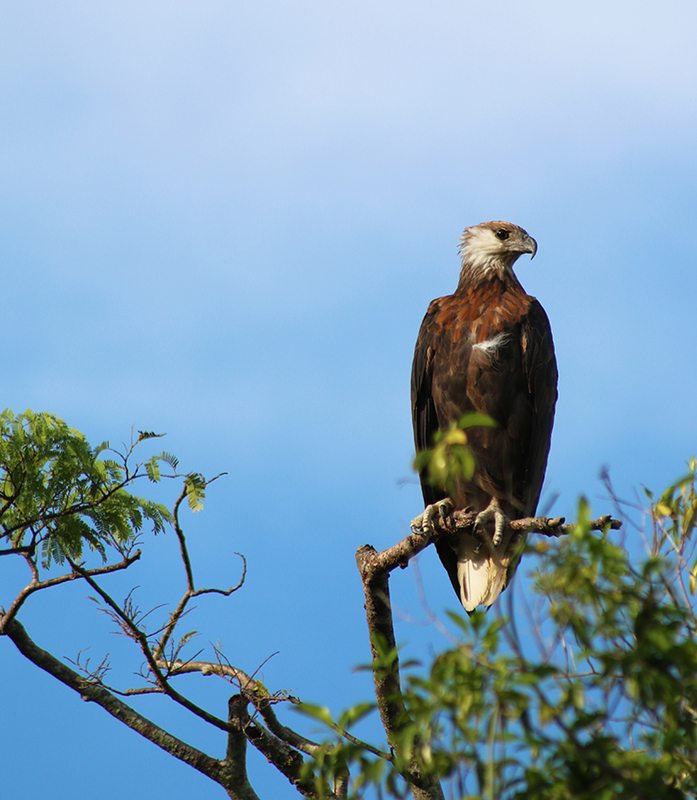 Also, I had been looking for the Madagascar Fish Eagle and Crested Ibis for many years – where I am from in Mahajanga, you don’t see them as close as you do here in Anjajavy. When I arrived at the lodge and found them, it was a special moment for me. 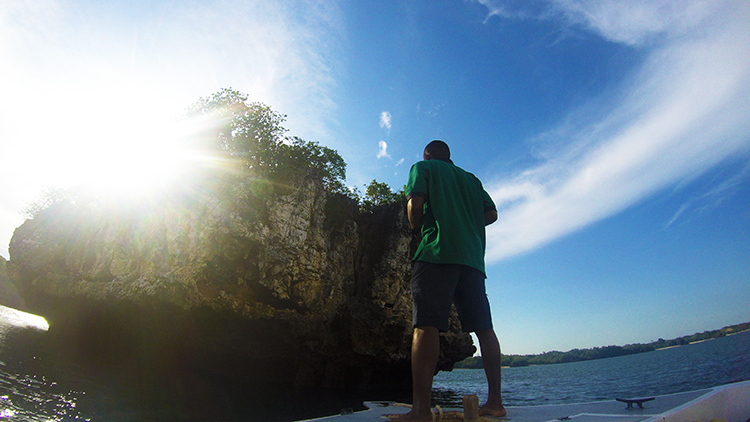 The tsingy here is beautiful and the marine life… Before working here, I didn’t know how to snorkel. I taught myself while at Anjajavy, and I love it now! My eyes would sting at first, because I wasn’t used to it and I would try to go down deep, but slowly I have become more capable of staying down longer. Everything comes with practice. People don’t think about what lies beneath the ocean. They tend to be more focused on what’s right in front of them on land. But there’s such different life down there in the sea. It’s very special. 7. 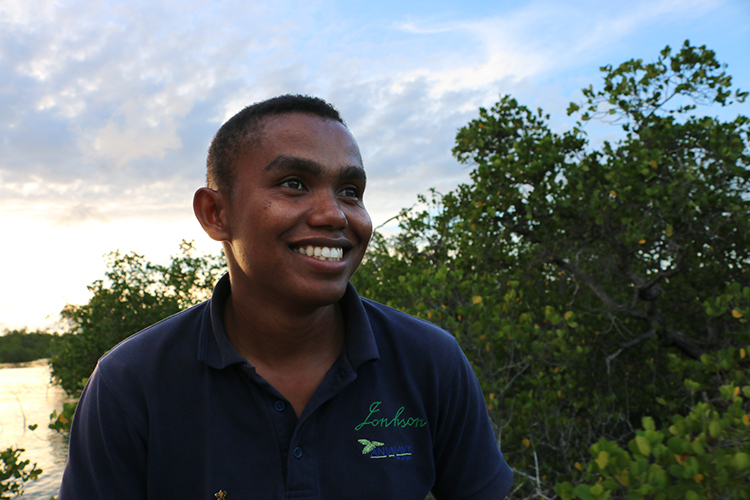 What has working with the local communities at Anjajavy been like – in the lodge’s mission to protect and grow the reserve and uplift its people? When people lack education and knowledge they tend to be more closed minded. You have to be patient when working with them and remember where they are coming from. You have to educate them slowly. For us, when we teach them not to fish using nets or to cut down trees and so damage the forest and sea life, we have to replace it with something. They need another way to make a living. We try to show them examples of how things are changing negatively as a result of their unsustainable practices… like how there used to be shark and sea cucumber in areas like St Marie Island, but no longer. There they think they have a forest, but it’s only five to ten years old. 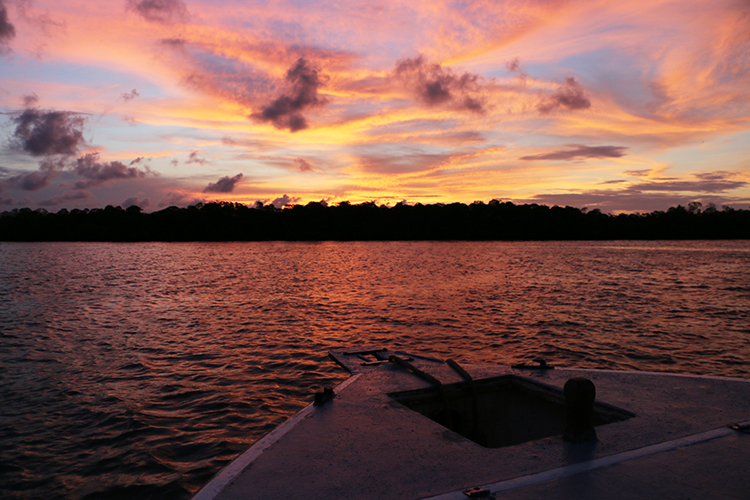 Anjajavy, because the nature here has been protected, has sections of wild primary forest. It’s ancient. We try to show people that this is their land. What we’re doing is for their own benefit. One day they will understand – they are slowly beginning to, which gives us great satisfaction and drive. 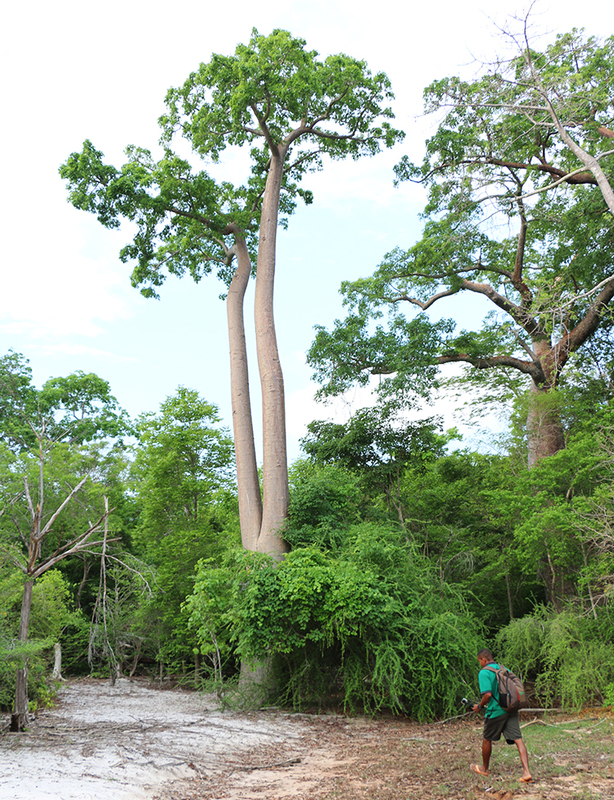 The heart of the forest is here in Anjajavy. Around us is only savannah. We have to protect it. 8. What makes this such a special place for kids? Here children can see things they’ve never seen before. It opens their minds and nothing is dangerous – not the animals, not the ocean, not the people. We had a 6 year old boy visit from London and he had never snorkelled before. We took him into the sea and I told him to hold onto my shoulders and just follow me, to trust me, and he went from feeling such fear to such joy. He loved it. The best way to learn about life is like this, first-hand, living with the animals and marine life. 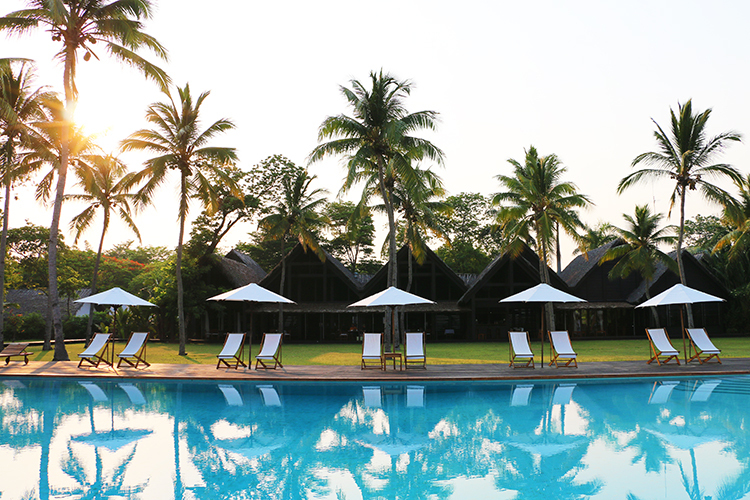 Anjajavy is an authentic lesson in history, culture, geography, romance… everything. 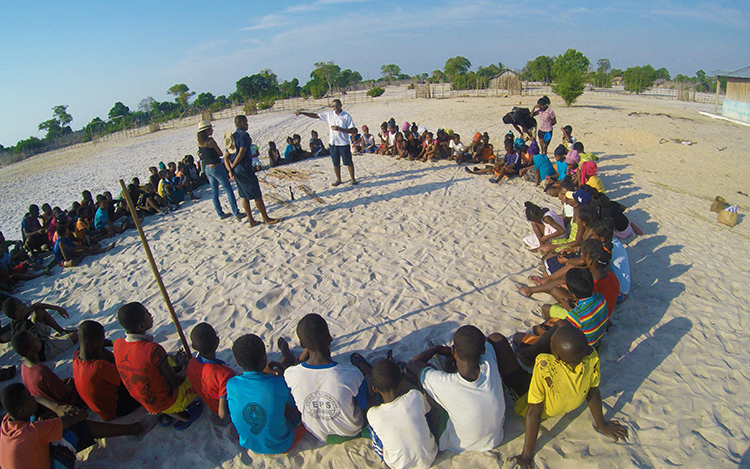 You learn it all here – discovering fossils of a hippo jaw or a lemur that has gone extinct; learning about the local people – like the Sakalava tribe, the main tribe of the area, but also the others, like the Betsileo, the Tsimihety, the Atandroy, Vezo, and the Merina. A mix of different tribes that all get along – like at Anjajavy le Lodge where we have a mix of people from different ethnics working and living together peacefully. 9. The best time to visit Anjajavy? Dry season, because it’s easy to fly here, but if you are prepared to take the risk of rainy season, it’s a better time for seeing reptiles and birdlife that you wouldn’t see in the dry season. October and November are my best months, for birding. In the beginning of the year in Madagascar, all the new leaves are coming out and it’s breeding season for the birds and fish – you see all the incredible and different colours the animals change into. It’s a rare treat. 10. And your favourite time of day here? Sunset! When you live and work in a place like this, in the outdoors, in nature, you see the things you’d miss otherwise – like the beautiful sunsets. And it reminds me that it’s the end of the day, so from that time I need to think about what I’ll do tomorrow.